Clear, directional audio on the GO! Compact and light weight by design, the VideoMic GO delivers clear, crisp, directional audio with incredible ease of use. 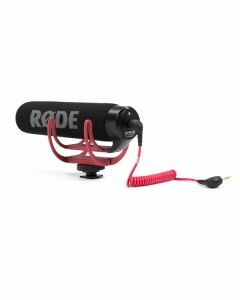 Its tight pickup area focuses directly in front of the microphone and reduces other surrounding sounds, ensuring that your subject is isolated from distracting background noise.